First Edition Awarded Second Place in 2013 AJN Book of the Year Awards! 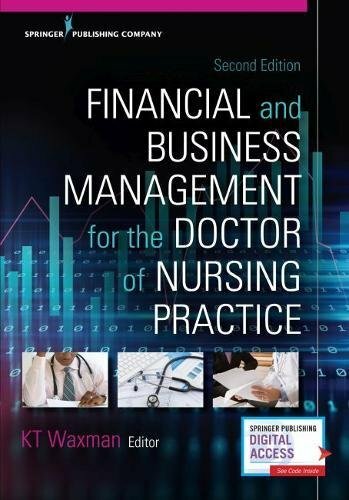 The second edition of this award-winning text, designed specifically for the DNP course in health care economics and finance, remains the only book to embed economic and financial concepts in the context of nursing practice and nursing health care systems. Well organized and clearly written, the second edition is updated to encompass key changes to reimbursement and health care regulations and provides revised statistics throughout. It offers new information on ambulatory care, cost and ratio analysis, additional examples of financial statements, and an updated sample business plan. Enhanced teaching strategies include real-life case studies, challenging critical thinking questions, learning games, key terms in each chapter, and an extensive glossary. New PowerPoint slides add to the text’s value as a robust teaching tool. Written by experienced DNP executives for DNPs, the book emphasizes critical skills nurse leaders need to participate in strategic health care planning. It delivers a practical approach to business, finance, economics, and health policy that is designed to foster sound business practice and leadership. The text clearly explicates the relationship between cost of care, quality of care, and ethics, and examines the economic and financial implications of evidence-based practice and quality. Also included is a special section on finance for independent practitioners. Additionally, the book delivers required competencies of the AACN Essentials and the AONE.